An obvious indication that a law is unjust is the refusal of the lawmakers themselves to follow it. The idea that the principles, which lead to legal action, apply to the population but don’t apply to those who are creating the laws or to the government itself is a flagrant indicator that the government is laying a burden on the people that is too ridiculous for them to shoulder themselves. This is the exact case with the North Carolina Education Lottery and comparable lottery systems around the United States. In the United States, gambling laws are established state by state. There are several states where gambling is almost exclusively prohibited and punishable generally by misdemeanor offenses. However many of these same states have government run lottery systems. North Carolina’s education lottery perfectly exhibits the tendencies of such systems. This lottery operates almost identically to any similar privatized system, complete with advertising and celebrity endorsements, and it has netted $4 billion over the last nine years, in addition to the state’s hefty taxes on winnings. The proceeds are accordingly allotted to North Carolina’s public education system. This cause seems particularly worthy and beneficial. However, the $4 billion which the lottery has provided North Carolina’s public schools since 2006 are all funds which otherwise would have been derived from the State’s budget. Therefore the NCEL funds the state’s general budget. Generally gambling is outlawed because, in addition to any moral qualms with the pastime, it is conducive to violence and allows those who create gambling venues to prey on gamblers too easily. North Carolina obviously has not banned privatized gambling for moral reasons. 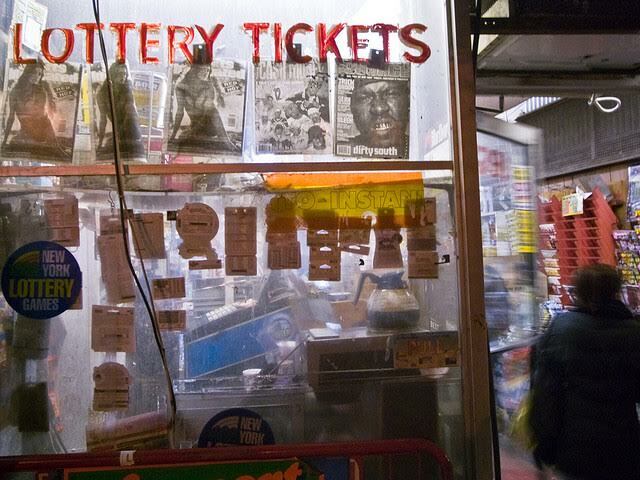 The lottery has essentially neutralized the violent aspect of the trade by requiring payment for tickets up front. However the state seems to be praying on gamblers in exactly the way a private system would. North Carolinians have gotten back $4 billion less than they have put into the system, and the state has turned a hefty profit. Nearly 40% of Americans who make less than $25,000 a year believe that winning the lottery is the best way to amass significant wealth. Lower income individuals generally spend more of their income on lottery tickets than those with higher incomes. The poor use lotteries more. An astronomically small number of purchasers may win large sums in the lottery, though they often file bankruptcy within several years, but communities overall, more impoverished than wealthy, cede their money to the state. In essence the NCEL has not removed the “exploitation” involved with gambling. However, the NCEL has removed the competition. They are the only large gambling business legally allowed in North Carolina. Essentially North Carolina has imposed a monopoly, while perpetrating the same dubious behavior that would warrant removal of their competition. They are doing this in the name of furthering education when in actuality they are simply enlarging their budget, and they are doing this more at the expense of the impoverished than the wealthy. North Carolina and comparable states may not have qualms with gambling but they cannot make gambling solely a public revenue stream. They must abolish the lottery and raise legitimate taxes in order to fund public education or state budgets or they must allow gambling as a free enterprise. The space they occupy now is an unjust one.